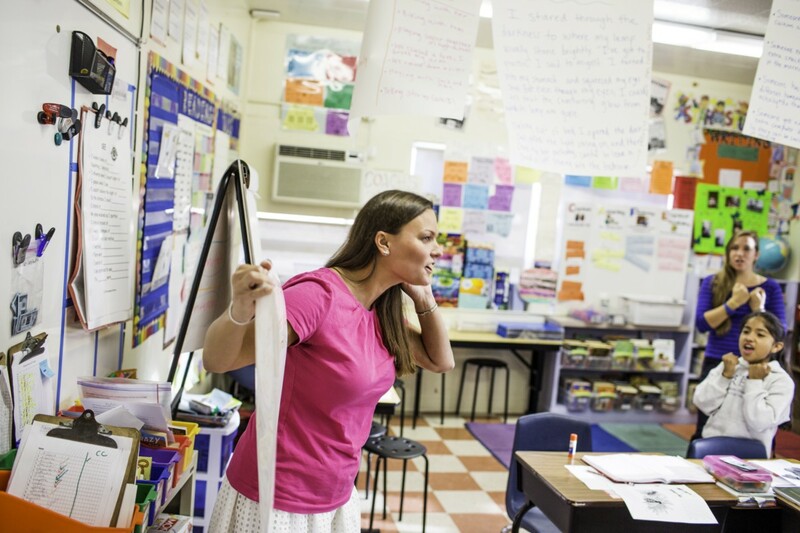 Five top teachers only spend half their time in front of students. What else takes up their time? Think about it. Most of us have only seen teachers through the eyes of a student or parent. It only seems natural that we might assume they spend the majority of their time doing what we’re used to seeing them do: teach. But so much more goes on behind the scenes that is just as important — if not more important — than instruction. 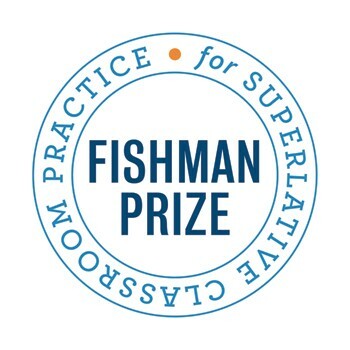 These five winners of TNTP’s Fishman Prize for Superlative Classroom Practice — including the prize’s namesake Shira Fishman — are achieving breakthrough gains with students in some of the most challenging school environments in the country. 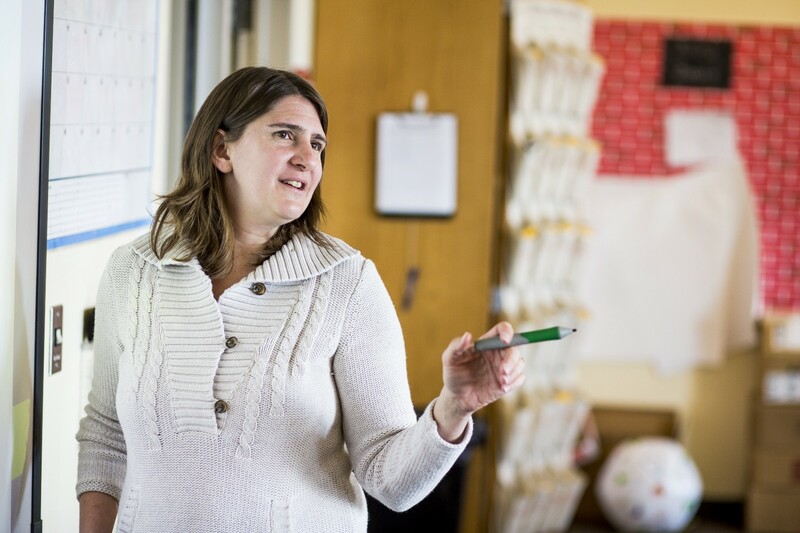 Shira Fishman, Geometry and Calculus Teacher, McKinley Technology High School, Washington, D.C.
After five Fishman Prize alumni crunched their time-tracking data, they found instruction doesn’t exactly take up the lion’s share of their time: on average, they were only instructing students 49 percent of the time. Why? 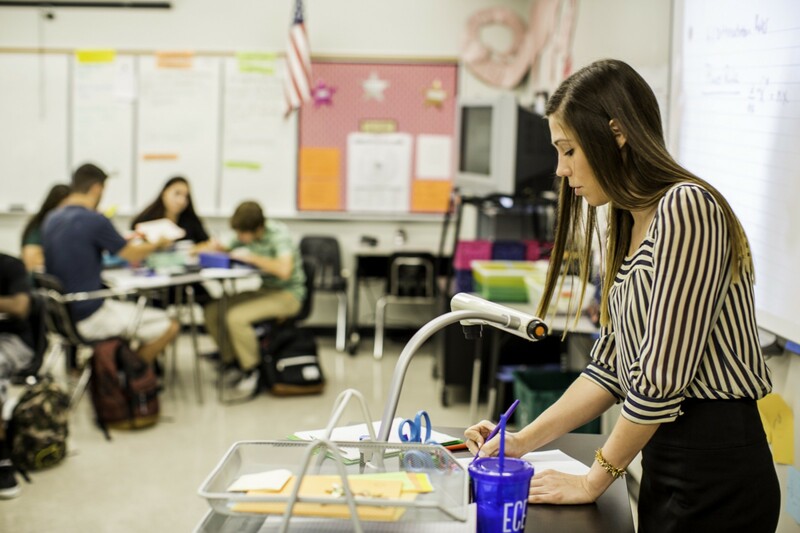 The answer isn’t simple and, in the case of these five teachers, varies widely depending on factors like the subject they teach, their experience level, and their school environment. For instance, Steven, the sole band teacher, spends seven percent of his time devoted to extracurricular activities. All the other participants spent zero percent of their time on extracurricular activities. Meanwhile, Shira, the most senior teacher — and the only one with a child — reported the least amount of average weekly working hours: 38. Every other participant logged above 40 hours per week. What exactly do extracurricular activities look like for Steven? Why did Shira work so few hours compared to everyone else? We asked these questions, and queried the rest of the group about surprising results their time-tracking revealed. TNTP: Did the results of the time-tracking line up with your expectations of how you spend your time, or were there big surprises? Shira: It was surprising to me — and probably to the average person — that in the amount of time we work in an average week, only about half of it is actually classroom instruction. I was surprised that in this particular two‑week period I had a pretty low amount of time grading. But something that all of us have talked about is that no matter what you do, trying to find an average two‑week period or a typical two‑week period in our lives, is very difficult. Steven: I was very surprised to see that some of the other teachers that were on this project, like Kelly, have duties that have absolutely nothing to do with instruction, and absolutely nothing to do with kids. I remember visiting Kelly’s school, and she has to do a tardy room. I never would imagine having to do that at my particular school. That really, really surprised me. Laura: The first time we did a practice run through of the project, we didn’t track to see if our activities were a valuable use of our time. Nonetheless, I thought that a lot of the meetings I was going to, and some of the interactions I was having with people at the school maybe wasn’t the best use of my time. But when I tracked it and really thought about the conversations that were happening, I was surprised to see that a lot of it was directly related to student learning. If you’re in a meeting and you’re collaborating and say, “Let’s do work samples,” that’s going to directly relate to a writing lesson the next day. Having a meeting about any professional development you’re undergoing is directly related to student learning. That was the biggest surprise to me: actually a lot of my time was being used in a valuable way for students. TNTP: Kelly, what is a tardy room? Kelly: We’re obligated to do a duty at our school. The one that I’ve had the last couple of years is tardy room. We’re in charge of logging tardies for kids that are late to class. There are other duties like lunchroom duty or dress code monitoring, things like that. It’s supposed to be about 15 minutes of our planning period, every single day, for a semester. But the tardy room just isn’t 15 minutes. It turns into 20, 25, 30, and then your planning period disappears. Too much of the time in my building is being spent on non‑instructional activities, or activities that don’t relate to student development. TNTP: Jennifer, was there anything in your tracking that you spend a lot of time doing that would surprise folks who aren’t teachers? Jennifer: The hours of “other” time, the stuff that I couldn’t categorize, speaks to that. We actually had a number of categories to choose from, and yet I feel like there are a lot of things that came up in my day where I didn’t know where to put them. This speaks to the fact that there are so many little things that pop up, or things that you end up doing where it’s hard to see where they go, but they have to be done. TNTP: Laura, what are your thoughts on the number of hours you work a week. Does that number feel right to you? Laura: I clocked about 52 hours per week. I go to school around 7:00 a.m. and then leave around 5:00 p.m. It’s about 10 hours and I was thinking five days a week so I predicted it would be around 50, but I honestly thought it would be a little bit higher based on how much time I work before school, after school, even when I get home after 5:00 p.m., and on the weekends. Kelly: I was about at 50 hours, too. I think that I would see more fluctuation throughout the year. These two weeks were in the spring semester, not the beginning of the year. I know towards the end of a quarter or a semester my time definitely increases. There is such a huge fluctuation throughout the year. TNTP: What about you, Shira? I was like, “No, no, no. I’m coming back in November. I’m definitely coming back from maternity leave.” So many people said they wouldn’t be surprised because that’s just how it is. It’s really hard to come back. And it was hard to come back, but as part of it I kind of made a deal with myself. It wasn’t because I was under any pressure from my husband or anything. I was just like, “I am coming home after school and I’m leaving school at school,” which I probably have never really done before. I did it. I was successful at doing that, which is why I probably worked only 40 hours a week. I would get to school around 7:00 a.m. and leave around 3:30 p.m. But there were trade-offs. The biggest sacrifice — and I’m still wrapping my head around how I’m going to adjust this coming year — is that leaving right after school meant that I had to adjust my tutoring time. That’s something that means a lot to me, the one‑on‑one time with kids. And trying to adjust it to before school — where the teenagers are not super excited about my offer of 7:30 a.m. tutoring hour or lunchtime — I’ve found is less convenient than after school. But it was a non‑negotiable for me last year. I needed to put my daughter and family life first. But I really felt like I missed a lot of the tutoring time. My co‑workers picked up the slack. There were other teachers that offered tutoring hours where my kids could go. But I’ve already decided that at least one or two afternoons a week have to be late days for me, because I need to put that time back in for my students. Listen: Shira discusses how she was able to return to teaching after maternity leave. TNTP: Is that something that you could have done earlier in your career? Do you feel like you needed the veteran status that you have to be able to make work/life balance adjustments? Shira: I think that being a veteran teacher made it easier. I was more self-confident making that decision for myself. As a younger teacher, I wouldn’t have as much experience or confidence with lesson plans to feel comfortable enough to leave work at work at 3:30 p.m. and know that things would be ok.
TNTP: Steven, you spend seven percent of your time on extracurricular activities. How do you describe an extracurricular activity? What does that look like? Steven: An extracurricular activity would be something like coaching sports or running a different enrichment class that has nothing to do with the content you teach during the school day. I run a jazz ensemble program here at the school. I fought, and fought, and fought to get that to be a part of the school day. However, the schedule didn’t allow it so I have to run that after school. Last year, our day ended at 3:50 p.m. I would start jazz ensemble at 4:00 p.m. and go from 4:00 to 5:30 p.m. twice a week. Then I would also do weekends. Another thing that I do — that a traditional subject teacher might not do — is take a lot of trips with the kids. We have all types of donors and people who send us tickets to go see the Chicago Symphony Orchestra, or to go see a theater performance. I also inventory instruments, fix instruments and write music. I usually try to do that before school, coming in at 7:00 a.m. These are all things I’m doing when I’m not with kids or with the jazz ensemble. They are things that help the program run. Tomorrow, find out how these great teachers would spend a time bonus. 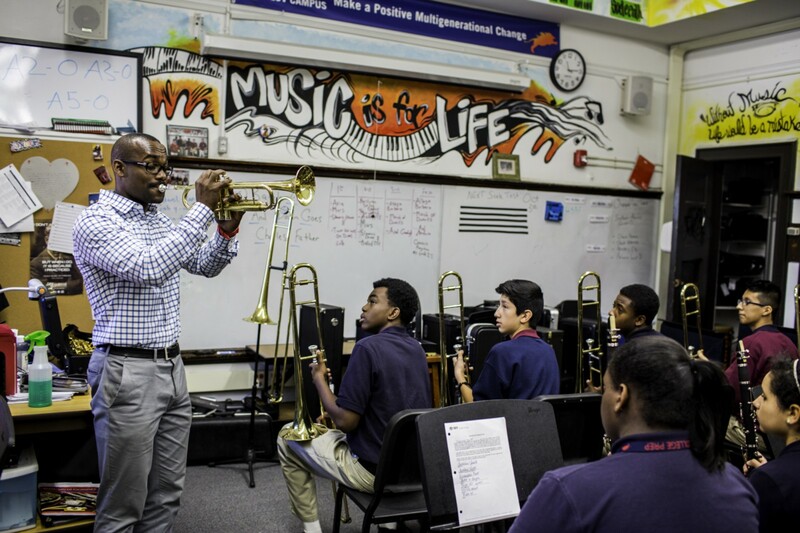 A national nonprofit founded by teachers, TNTP helps school systems end educational inequality and achieve their goals for students. Ideas, research and opinion about how to support great teaching and create vibrant classrooms.